Stories. You’ve heard of them, time and time again, but what exactly are they and how can your business successfully utilize them in your marketing strategy? 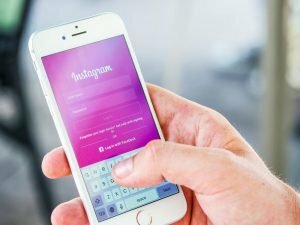 Instagram (and Facebook) Stories are another place for businesses to share images and videos that vanish after 24 hours. But what helps these stories be seen is their location. These stories, on both platforms, live at the top of your mobile newsfeed. Thus giving your content the perfect opportunity to be seen. 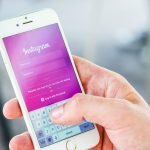 If you don’t utilize the features available on Instagram, your stories won’t gain any traction with your audience. 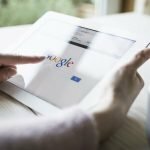 Without text or a Call To Action (CTA), your posts will flop. Before you begin utilizing stories on Instagram and Facebook you should ask yourself, “what is the objective or overall goal of these stories?” Once you have determined the goal of these posts then you can decide how you will communicate the CTA. If you’re looking to gain feedback or insight from your audience, ask them a question attached to a poll. This is one of the easiest ways to learn what your audience does and doesn’t like. When launching a new product and/or service, using stickers, emojis, and GIFs will help get your audience excited. If you’re opening a new store location utilize the, you guessed it, location sticker to show just where your latest expansion will live. Without a CTA your story won’t produce the results you may have wanted. 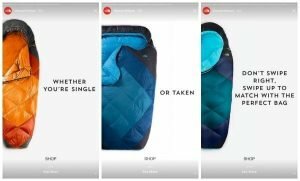 A CTA that’s shared via your Instagram story can include anything from ‘Swipe Up’ which will lead you to a product link or article, join a giveaway by taking a screenshot and resharing or even asking your audience to partake in a poll. Video is the next big thing. Stories are the perfect spot to test out vertical video and how you can implement this tactic into your marketing strategy. Video within stories can showcase a new product or take your audience behind the scenes. The possibilities are endless when it comes to video! Live video offers even more possibilities thanks to the location of these videos. 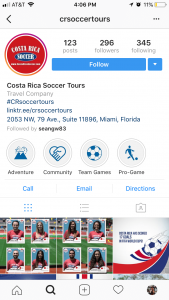 Although stories get pushed back, Live stories live front and center on your feed. Get creative when shooting live video by hosting a Q&A or giving your audience a sneak peek at your latest project. Stories is the perfect opportunity to live a little. Not everything you share needs to be of the highest quality and perfectly curated. Let your audience in on behind the scenes of an event, limited time offers, and how your company gets its creative juices flowing. Show them the people behind the business. Your stories can only be viewed for 24 hours but by creating Highlight Stories, your current and potential audiences have the opportunity to view certain stories over and over again! Once a story has been posted you then have the chance to highlight it right away or a few days later via the ‘archive’ button. In order to organize these highlighted stories, creating covers has become increasingly popular. Using your selected color palette create themes to beautifully store these stories. Now your audience knows exactly what they’ll get when clicking on each Highlight. Stories only last a few seconds. Don’t overwhelm your audience with an unnecessary amount of stickers, polls, and hashtags. 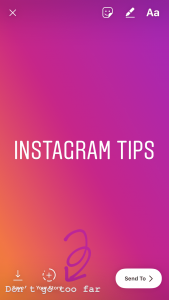 Using Instagram Stories provided features is a great way to capture your audience’s attention but don’t turn them away by using too many all at once. Tip: Have a lot to say? Start with one sentence of information and then reshare the story but this time, with an additional second sentence and so on. Although your story will be live for 24 hours, it will inevitably be pushed from the front of your viewer’s feed screen to the back. As more and more people and business’ post to their stories, yours could get lost in the noise. Make sure that your business posts during hours when your audience is most active to ensure optimum engagement and views. You know those blue lines that pop up every now and then while you’re moving stickers and text around? These lines help you align your content horizontally, vertically, and within viewable means. Take full advantage of this feature to guarantee that all of your text can be seen and read. 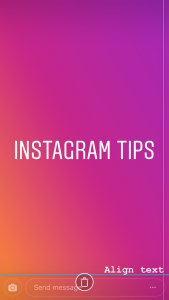 Instagram stories is the perfect place to share behind the scenes content as well as more personal photos and videos of your business. However, this is not the place to share your personal political standpoint or your feelings on a recent event that does not relate to your business or its audience unless this information somehow aligns with your audience’s interests. Don’t take advantage of a great platform feature by sharing irrelevant and unrelatable content. 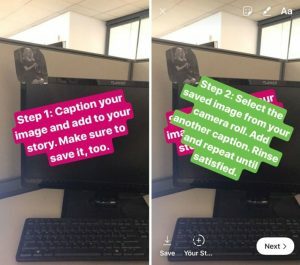 Instagram stories can be an extremely helpful tool if used wisely. Take these dos and don’ts into consideration next time you decide to utilize stories. 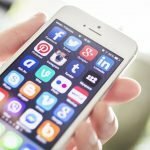 Want to learn more about social media marketing and Instagram content creation? Contact Sweet Rose Studios today! Amanda DeFelice is a social media associate at Sweet Rose Studios.